Now I’m not a big map guy myself, but I know many of you out there are. Apparently all the scripture apps do not have the standard maps in them. At least not that I’ve been able to find, but that may not be the case (there are a lot of things in there and it is sometimes hard to find the stuff you want). 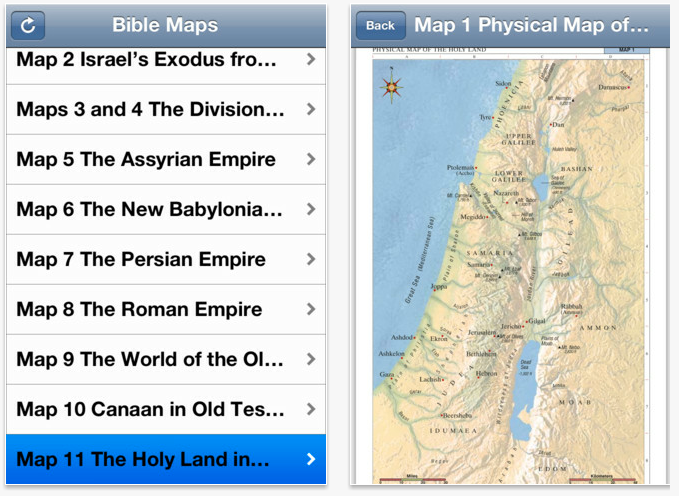 Well, now there is an app where you can view the bible maps. I was asked to review the new LDS Bible Maps app for the new and aspiring app developer, Christina Reese. (Disclaimer: She hooked me up with a free code – Cost is 99 cents normally). The app is pretty dead simple. You open it up and are presented with the 14 maps you find in the back of the standard scriptures. You can zoom in and out with a pinch of the fingers and it is super clear. Works great and as expected on both the iPhone and iPad. I could see myself using this in a FHE to teach the kids and zoom in real close on regions and let the kids play around with the map. Hey… maybe the maps will be exciting and the future generation will be better than mine. 🙂 Next time we have a lesson about Jerusalem I’m busting out this app to spice things up. 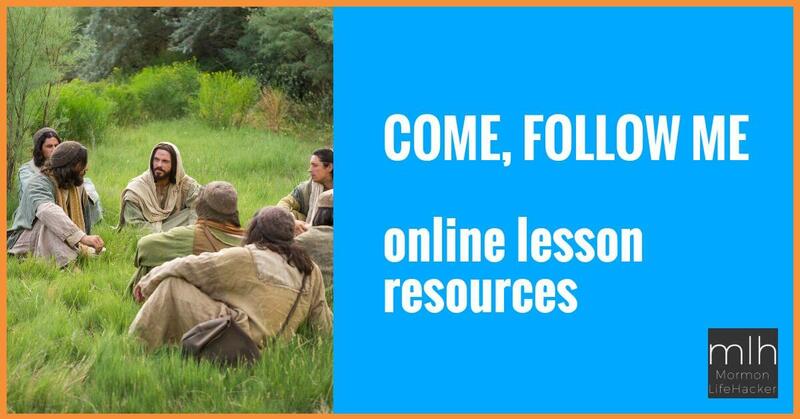 LDS Bible Maps is available for $0.99 in both the Apple App Store and Google Play for Android. Y’all know by now that I’m a big fan of LDS App developers. I love to encourage development and all sorts of ideas. If you have an app you are developing and you want me to take a look please shoot me a note at jeffvand [at] gmail dot com! Love to take a look. I’ll be fair. I’ve sent this app developer some suggestions for improvement in the app for the future. Not putting it on the amazon store leaves Kindle fire users out in the cold. I’d buy it in a second if I could.